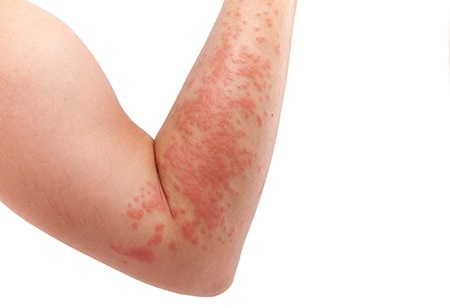 What Causes Hives — And How to Never Get It! 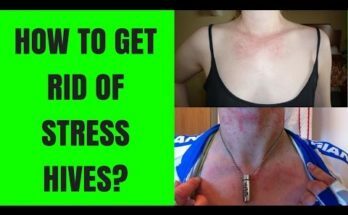 Today I’m going to be sharing with you what causes hives as well as some ideas on preventing this problem. Picture yourself going for a walk and looking down at your arm. Then suddenly you notice a whole bunch of red bumps. This is what is known as hives and anyone can get them. 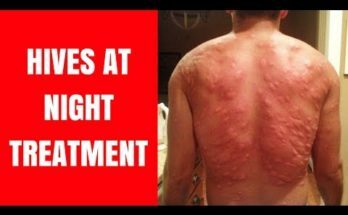 Most times they itch like a mosquito bite, but they can burn and feel painful. The interesting thing is that you could see them on your arm then they go away. Then a few hours later show up on your neck, so they can change location. The million dollar question is what causes hives to appear out of nowhere and create these unwanted bumps. Picture your body like a giant factor. You have the CEO which is the brain, all the worker cells and the managers. The managers are hormones. Hives can show up when hormones such as histamine tells a surface blood vessel to get bigger. This leads it to be more reddish in color, bigger and fluid to leak causing the itching. Swelling can also take place when the body realizes there is a problem. This could also cause the pain associated with having hives. You might be wondering why this manager or hormone tells surface blood vessels to get bigger in size. Usually this has to do with an allergic reaction. This is when the body kicks into survival mode when it senses a threat and sends in the military. Anything from a certain foods such as nuts, milk, soy products, fruits, eggs, shellfish or anything could trigger this reaction. Apart from food it could be a prescription drug or some kind of medication. Even things such as stress, the weather and tight clothes could be the culprit. One of the best ways to prevent a hives outbreak would be to eliminate whatever has triggered it in the past. Whenever you experience this outbreak grab a pen and paper and jot down what the day was like. Write down what you ate through the day, medications you took, clothes and anything else that could help you pinpoint the problem. With this information you then could possibly identify what is causing the reaction and eliminate it. Also taking a supplement called bee pollen can actually prevent hives. This may sound strange, but bee pollen has been shown to reduce histamine. Remember it is the hormone that tells surface cells to dilate. With fewer of these messengers in the body it could reduce the chance of an outbreak.